Presidents frequently use the State of the Union address to introduce new ideas or try out new political themes. Not tonight. The Barack Obama you heard speaking to Congress was the Barack Obama who ran for president in 2008. And I think he's here to stay this time. Remember, Obama spent most of his candidacy sounding calls for long-term change--about appealing to the better instincts of both parties and finding bipartisan solutions to the nation’s problems, about making the “hard choices” necessary to save the economy and, eventually, the planet. Plenty of us dismissed those notions as naïve or misguided. But it was clear that Obama was very serious about them, for better or for worse. Actually, it was for worse--because Obama couldn’t be that president during his first two years. The collapse of the financial industry and its collateral damage forced Obama to focus on short-term, emergency measures to rescue the economy. The campaign for health care reform ran into unexpectedly stiff and unified Republican resistance, obliterating any hope of bipartisanship on what would become his signature and at times all-consuming initiative. I’m among those who believes that the primary reason for Democratic political misfortunes in 2010 was the state of the economy—and that Obama’s worst sin of the first two years was failing to enact a bigger, bolder stimulus that might have created more jobs. (I.e., he needed to be more partisan and not less.) But I also believe that the role of economic crisis manager, particularly in the face of such determined Republican opposition, just didn’t play to Obama's political strengths. With this speech, Obama reached back to the themes of 2008, and of the primary campaign that stretched back in 2007. It wasn’t just the constant gestures of outreach to Republicans, starting with his recognition of new Speaker John Boehner. It was also the focus on the economy’s long-term difficulties—decaying infrastructure, an insufficiently educated workforce, too much debt. This was not a speech about boosting growth for 2011. It was a speech about boosting growth for 2021. And beyond. Assuming this is a harbinger of the message Obama intends to take to the country, starting tomorrow and perhaps all the way through November 2012, will it work? I’m really not sure. I can certainly imagine the public rejecting it. A lot of people are still out of work. Even those who have jobs are, all too frequently, struggling to pay their bills. It's hard to think about the future when the present is still so bleak. Then again, if the economy picks up even a little, as it may (emphasis on “may”) be doing, Americans may be receptive to this approach. I'm biased, obviously, because I think Obama is mostly right and the Republicans are mostly wrong on the issues. 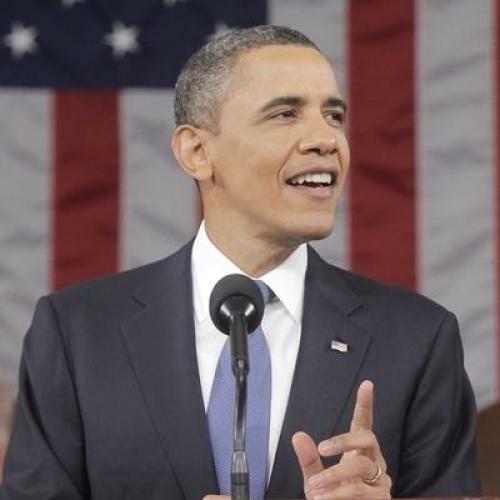 But Obama's message was optimistic, in stark contrast to the pessimism of the Republicans. And, all else equal, optimism tends to play better with the public. During the speech, pollsters from Greenberg Quinlan Rosner surveyed a group of swing voters. The voters apparently liked what they heard. Obama's approval among this group, which started at 30 percent before the speech, ended at 56 percent – a larger jump than typical, according to pollster Stanley Greenberg. This approach got Obama elected once. Maybe it will get him elected again. If nothing else, it’s who he really is. Update: Mark Blumenthal reminds everybody not to take post-speech polls that seriously. Commenting on CBS News snap polls that yielded similarly strong responses, Blumenthal says: "while typical, these sorts of positive responses rarely translate into meaningful, lasting changes in public opinion."